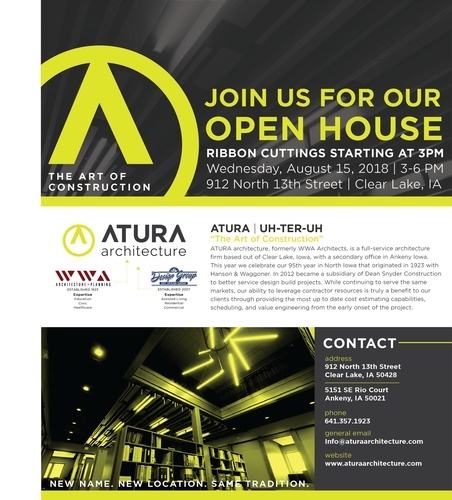 ATURA Architecture, formerly WWA Architects, is celebrating their 95th year in North Iowa that orginated in 1923 with Hanson & Waggoner. In 2012, the firm became a subidiary of Dean Snyder Construction. Their open house on August 15 will be a celebration in conjunction with Dean Snyder's 60th Anniversary. Stop by and check out their new location in Clear Lake!